i'm actually really surprised that drake went and made a video for his #1 viral smash 'in my feelings'. with twitter/instagram filled with videos of the dance challenge, the song went from album track to crossover hit instantly and could have been left at just a collection made by fans of the song. 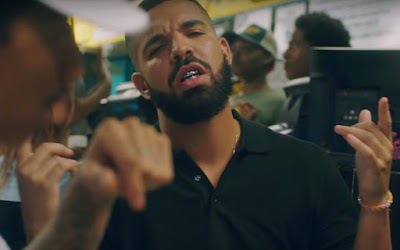 instead, drake did the classy thing (again) with director karena evans by bringing on dj/comedian shiggy (who did the dance in the first place), featuring yung miami of the city girls (jt is currently serving a sentence) and even celebrating big freedia who helped nudge his 'nice for what' into a smash hit. plus we get to see drake do some acting with phylicia rashad and la la anthony! all in all it's a celebration and we love him for it!